Exploring the global impact of Yiddish through a local lens. Discovering Yiddish is a series of exhibitions featuring materials from local Yiddish collections. The 20th century was an unprecedented time of movement and relocation for the Jews of Eastern Europe. And in nearly every new place Jews re-established themselves, whether in small or great numbers, they brought Yiddish with them. Today, Yiddish continues to exist in many of these communities, often in muted tones, sitting quietly in a box, on a bookshelf, or in a display case. It is the goal of Discovering Yiddish to locate these precious materials from the past and return them to the spotlight, to demystify the past they hold, and to display them proudly as pieces of local history. Catch Komets-alef: o! 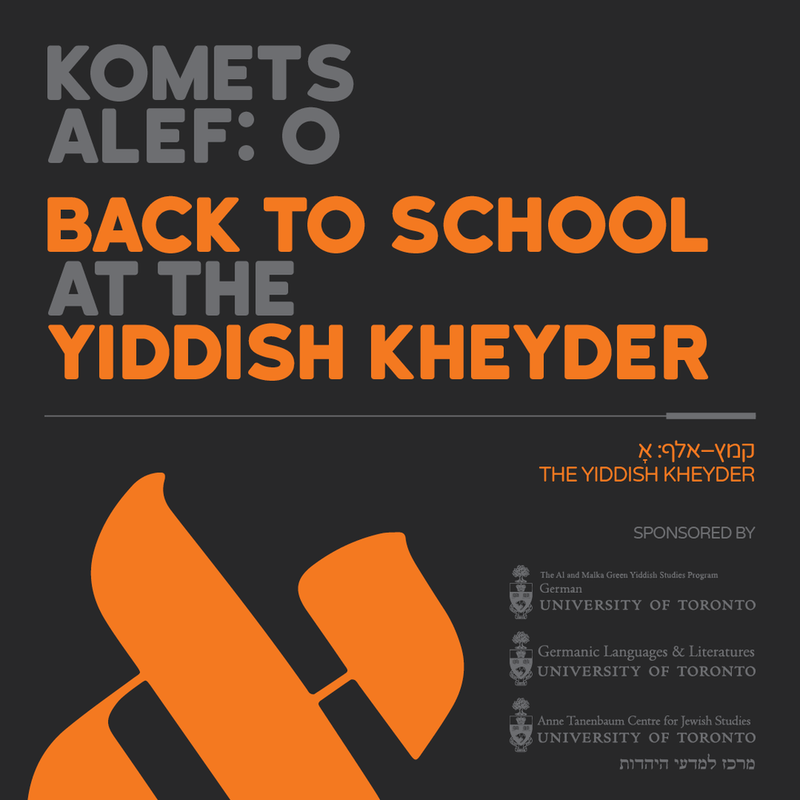 Back to School at the Yiddish Kheyder returning for another run in a new and expanded format at the Canadian Language Museum, located at Glendon Hall at York University, Toronto. Komets-alef: o! Back to School at the Yiddish Kheyder invited visitors to imagine themselves as talmidim (students) at a Yiddish kheyder (elementary school) learning the basics of reading, writing, and speaking the language. Discovering the Mame-loshn: The Hidden World of Yiddish at Robarts was the first exhibition on Yiddish materials at the University of Toronto in twenty years.